Scandals have a long history of being created and exploited for political, often partisan reasons. Crippling Congressional partisanship combined with record cynicism, corruption, and dishonesty foster a climate in which scandals, real and overblown, flourish. It is important for us to examine and get to the heart of these issues, separating systemic problems and what is truly scandalous from shallow diversions and cynical attempts at political smear. It is vital that the right questions are asked and the root issues explored and addressed. To pursue exaggerated diversions at the expense of real issues is not in our best interest. So let's take a deeper look at the top three scandals in the news. We've all heard repeated accusations regarding the attack on our Consulate in Benghazi, Libya in which Ambassador J. Christopher Stevens and three other Americans were killed. This is presented as a scandal in which the Obama administration was not adequately prepared to defend this embassy and then knowingly gave false information to the public in the aftermath of the incident. Context is important. What was the situation and why we were even there? Libya, under the rule of Muammar Qaddafi, had made the decision years ago to nationalize its oil. It used much of the money made for infrastructure, education, and national needs. Though Libyans feared the brutality of the regime, they were mostly well off due to the national investing of that oil wealth. Libya had suffered economic sanctions for its role in the Lockerbie bombing. Those sanctions were lifted under the condition that they paid compensation. As reported in the New York Times, “In 2009, top aides to Col. Muammar el-Qaddafi called together 15 executives from global energy companies operating in Libya's oil fields and issued an extraordinary demand: Shell out the money for his country's $1.5 billion bill for its role in the downing of Pan Am Flight 103. If the companies did not comply, the Libyan officials warned, there would be 'serious consequences' for their oil leases, according to a State Department summary of the meeting.” In other words, Qaddafi was adding fees to recover money lost by years of sanctions and fines. This added to the animosity that spurred many attempts by the US to overthrow or kill him. Another scandalous aspect of this is the open ended Authorization for use of Military Force passed by Congress in 2001. This gives the President authority to use all "necessary and appropriate force" against those whom he determines to be threats to us in an endless, self perpetuating “War on Terror” which, despite the his recent speech, is likely to last another decade. I was pleased that President Obama addressed this, stating that the AUMF should be “replaced” and that he would not choose to expand that mandate. What surprised me was his stated desire to transfer control of the drones and their use from the CIA to the Army, admitting that the “War on Terror” and the program of extra-judicial assassination has in large part been run by the CIA. The scandal here is not that Obama was responsible for the lack of security at an embassy but that the CIA is in charge of our foreign policy including the Libyan coup in service to big oil. As it has done for decades, the agency attempted to manage public opinion by inventing “talking points” for the press. Libya is only one in a long line of CIA operations and dirty wars that has metastasized into the endless “War on Terror.” An important documentary on this called “Dirty Wars” by journalist Jeremy Scahill will be showing at the Naro Cinema soon. Republicans would rather create a lesser scandal in hopes of smearing Obama and by proxy, Hillary Clinton for partisan advantage rather than discussing real issues. That is truly more scandalous. Our next scandal making headlines is the reported targeting of conservative PACs, in particular the “Tea Party,” by the IRS. Though senior agency official Lois G. Lerner admitted giving special attention to “political action type organizations involved in limiting/expanding Government, including the “Tea Party,” we once again need to look at the context. The government should not target citizen organizations based on political views, though it has done so throughout our history. I think back to the crackdowns and arrests of those opposing our entry into WWI, the McCarthy era, cointelpro, and the increased infiltration and monitoring of every dissident movement through Occupy Wall Street. The focus has generally been on the left without objection from conservatives. That doesn't justify the present focus if that is the case, but it isn't. Less than one third of the organizations checked were conservative. Many of the groups whose applications were questioned were heavily involved in political activities that tax experts and former IRS officials said would provide a legitimate basis for flagging them for closer review. As Donald B. Tobin, a former lawyer with the Justice Department’s tax division says. “While some of the I.R.S. questions may have been overboard, you can look at some of these groups and understand why these questions were being asked.” The IRS was already separately reviewing roughly 300 tax-exempt groups that may have engaged in improper campaign activity in past years, according to agency documents. Some election lawyers have said they believe the wave of lawsuits against the IRS and the intensifying Congressional criticism of its handling of applications is intended to derail those audits, giving PACs a freer hand in the 2014 campaign. That the IRS was not adequately staffed or prepared for the flood of PAC applications is not surprising. As for the “Tea Party,” it isn't surprising that a well-funded corporate front backed by extremists loyal to a party with a long history of election tampering was investigated. In my opinion, that is a good thing. The a real scandal is the flood of political PACS and private money into elections resulting from the Supreme Court “Citizens United” ruling declaring money to be political speech and corporations to be people. Justice Thomas's deciding vote was tainted by his affiliation to the Citizens United group. That we now have the most corporate influenced Supreme Court in history is a scandal in itself with broad ramifications. It is a real scandal that 196 of the wealthiest people have so much electoral influence; folks like Sheldon Adelson, Foster Freiss, and David Koch. It is scandalous that half of the money ($67 million) raised by super PACs in 2011 came from just 22 people. How much money will they put behind Cuccinelli in the upcoming election? Compared to the buying of your representation and of our Republic, the IRS incident is less of a scandal than a symptom. An effort by concerned citizens called the Move to Amend, seeks an amendment to establish that money is not speech, and that human beings, not corporations are persons entitled to constitutional rights. That this gets so little attention in the corporate media is part of a much larger scandal. Of all these recent scandals the most important is the spying by the State Department on journalists and the heavy persecution of “whistle-blowers” by the Obama administration. I have previously written about this administration's targeting of journalists, whistle-blowers and activists. As reported in the Washington Post, “When the Justice Department began investigating possible leaks of classified information about North Korea in 2009, investigators did more than obtain telephone records of a working journalist suspected of receiving the secret material. They used security badge access records to track the reporter’s comings and goings from the State Department, according to a newly obtained court affidavit. They traced the timing of his calls with a State Department security adviser suspected of sharing the classified report. They obtained a search warrant for the reporter’s personal e-mails. The case of Stephen Jin-Woo Kim, the government adviser, and James Rosen, the chief Washington correspondent for Fox News, bears striking similarities to a sweeping leaks investigation disclosed last week in which federal investigators obtained records over two months of more than 20 telephone lines assigned to the Associated Press.” As investigative journalist Glenn Greenwald points out, it is the journalist, not just the alleged leaker, who became a focus of the investigation and a possible target for prosecution. This sets a chilling precedent for an already weak press which has been inseparable from the CIA for decades going back to “operation mockingbird” in the 1950s. 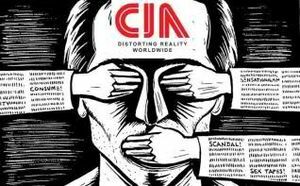 It has been a central role of the CIA to “manage pubic opinion” via “PsyOP” or psychological operations in which news is vetted and even written by CIA agents and fed to compliant news services like AP and UPI. The public opinion being managed is cover for CIA activities including political assassinations, fomenting wars, coups, and installing brutal dictatorships. Doing that effectively requires reining in journalists who undermine those efforts. CIA press involvement increased under Ronald Reagan. It escalated under Clinton as we became involved in Yugoslavia and further under Bush, becoming officially “embedded.” This has continued under the Obama administration which has gone far beyond what prior presidents have done in prosecuting whistleblowers, journalists and political activists. It is worthy of examination that this policy has grown consistently across administrations, no matter the party in power. We need to look behind the curtain to find the scandal that connects these others. Author and historian Michael Parenti has written on the difference between “the government” and “the state,” the former being the transient office holders we elect and the latter being the lesser known State Department, CIA, and Pentagon operatives behind the scenes with whom real power lies. These are the people who remain across administrations. We might also examine their corporate connections. From the decades of our involvement in toppling foreign governments, creating and backing brutal dictatorships and fomenting war to our infiltration and harassment of citizen groups to the suppression of press freedoms, the connecting link has been an ever more empowered CIA. This calls to memory President Eisenhower's prescient warning that, “In the councils of government, we must guard against the acquisition of unwarranted influence, whether sought or unsought, by the military-industrial complex. The potential for the disastrous rise of misplaced power exists and will persist.” The budget of the CIA has more than doubled since 2001 to over 75 billion annually – on the books. We know from the past that there are black-ops accounts and that millions in cash have been given to Hamid Karzai. Millions more have been given to assorted Afghan warlords as well as dictators and generals around the world to buy influence. What we get for our money are countless lives ruined and lost, much of our national debt, and a continuing assaults on our freedoms. In a time when all of us are asked to bear the brunt of austerity to cover the costs of their misbegotten wars this is particularly unacceptable. A real scandal not surprising ignored in the embedded press. The CIA and the ever more consolodated national security apparatus, inseparable from the military-industrial complex, major corporations, and organized crime has become the state behind the puppet show of government. It vets and chooses our leaders and dictates the priorities and policies of their administrations. This is the scandal we should be focused on beyond the manipulated diversions of partisan politics. The Slip of a Lip? Be careful what you say on the telephone -- you are being recorded. This has recently been admitted publicly by Former FBI counterterrorism agent Tim Clemente. Asked about an investigation of involvement in the Boston bombings by the widow of deceased suspect, Tamerlan Tsarnaev, Clemente said, " We certainly have ways in national security investigations to find out exactly what was said in that conversation. . . welcome to America. All of that stuff is being captured as we speak whether we know it or like it or not." more here from the Guardian. The authorities used to have to get a warrant to wiretap your phone. Now it is done in advance -- to everyone. This would clearly be a violation of our Constitutional rights but like the rest of the Constitution, that right has been all but nullified by the NDAA and the growing national security state justified by the endless "war on terror." This endless abstract and purposefully unwinnable conflict is based on the Authorization for Use of Military Force (AUMF) passed by Congress after the attacks of 11 September 2001. Continuing the justification for it requires expanded military conflicts like our government intervening (even more) in the Syrian civil war and elsewhere. New enemies must always be created and citizens like you must always be suspect. This kind of Machiavellian power feeds on itself and on your fear. We who opposed the global rule of wealth must find other ways of communicating. As an ancient Chinese sage once said, "When the government becomes oppressive, the People become cunning." Be careful how you say things, be inventive. Use direct, non-digital communication whenever possible. If you must use the computer, consider fake emails and the use of proxies IP sites like Web Proxy. Remember, "everything you say will be used against you . . ."
Now, about that land . . .